I was trying use the spell checking functionality from the FCKEditor. After I clicked on the Spell Check button in the tool bar, the pop up opens and shows the incorrect words correctly. However, when I click on an incorrect link, nothing happens. I can see an javacript error message "permission denied"
I saw the same problem when I ran the FCKEditor demo. Could you please let me know if I need to change any configuration to remediate the issue? 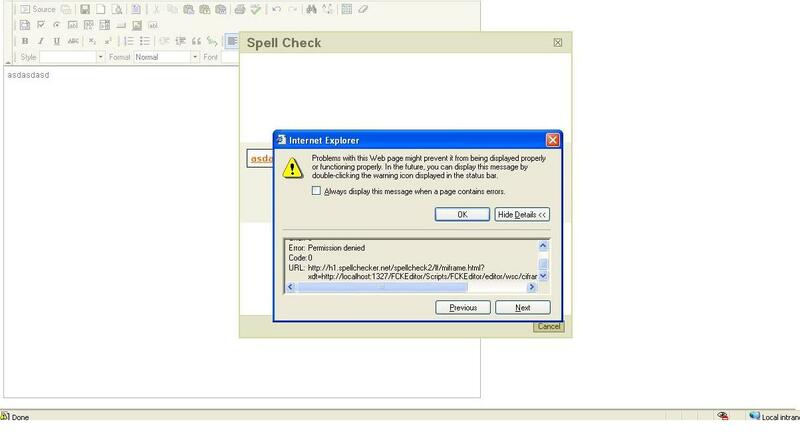 I have attached the screenshot of the error herewith.